In a city of Art Deco masterpieces, the Boston Avenue Church is among the best. It was built in the 1920’s and is still just beautiful. It is even more beautiful on the inside and the church is very accommodating to those who want to tour the building. And of course since it is a 15 story building that stands tall by itself it almost always makes for a decent Skywatch Friday photo. 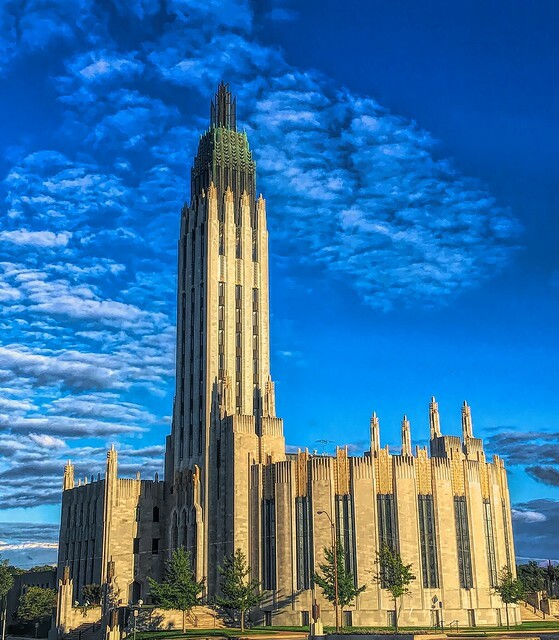 This entry was posted in Skywatch Friday and tagged "Skywatch Friday" "Boston Avenue Church" on October 2, 2018 by Alan Bates.